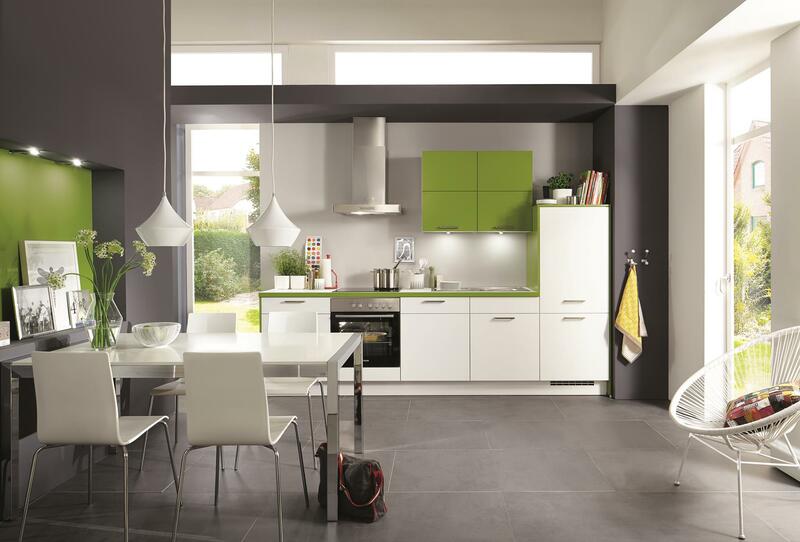 Colours evoke emotions , create atmosphere and emphasize your individual lifestyle . 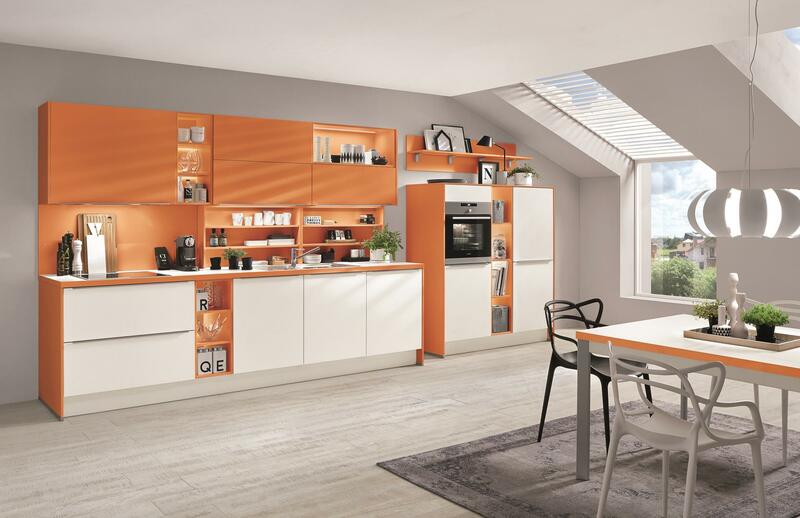 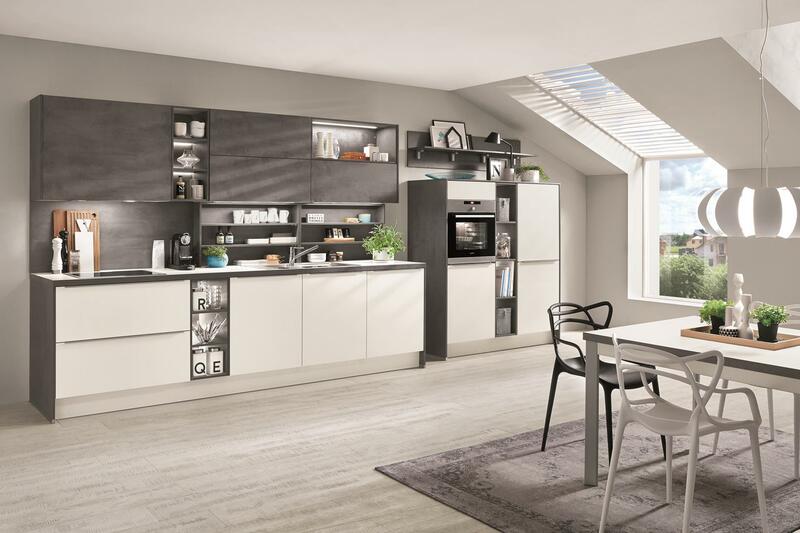 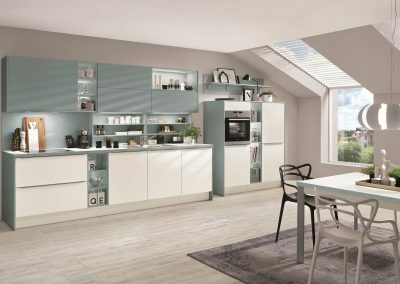 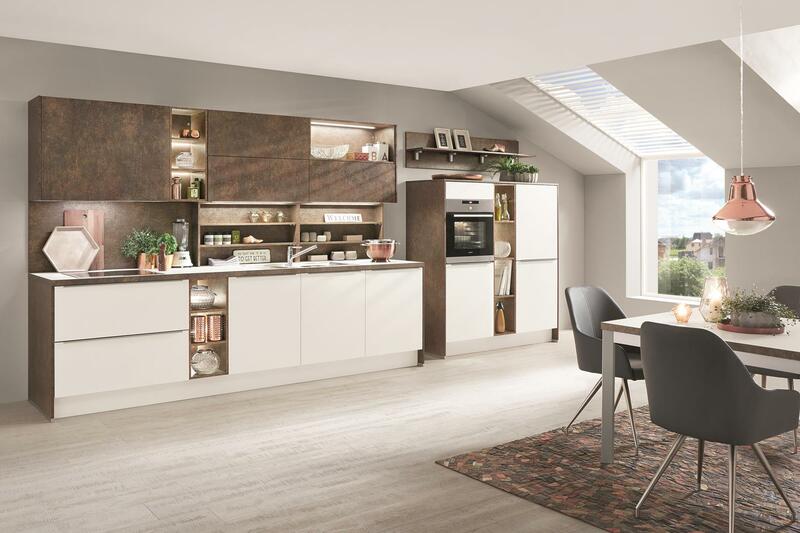 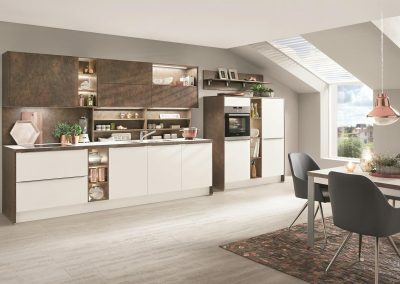 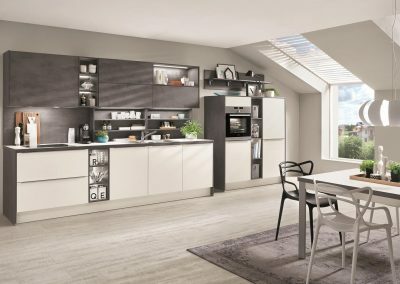 The combination of colours , shapes and materials in the kitchen offers enough room for inspiration and creativity . Play with contrasts, rely on a harmonious color concept or set trends with our Colour Concept by open shelves, niche wall coverings, colored edges of countertops, wall panels or cabinets with sliding doors in modern shades.